The Cricut EasyPress 2 has arrived at my studio! I really love it . It’s portable, lightweight and a better solution to iron-on vinyl than a household iron. Iron-on vinyl is a staple in my house. I letter everything. I add lettering, monograms and little phrases to everything I possibly can. I have used an iron, a standard craft-quality heat press, and now I’ve succesfully tried the new Cricut EasyPress 2. I can honestly say I’m impressed. It heats up more quickly than the heat press, covers a larger area than a standard iron and is completely portable. Out of the box, you get the EasyPress 2 (it is adorably raspberry-colored), a safety base, and a welcome book with an enticing “Let’s do this!” note on the cover. Are you feeling encouraged? I am! Also included is a Quick Start Guide card. It’s almost as if they know I’m going to pull off the plastic wrap and give it a try without reading the very short, but still in book-format, book. Here’s the quick start guide and the practice project materials. There’s also a jute storage bag and sweet Cricut iron-on vinyl piece to use as a practice project. 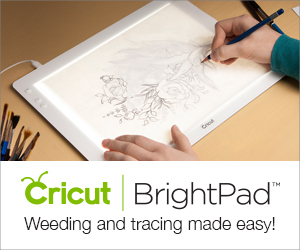 And this… is a Cricut EasyPress Mat (sold separately). You can use a towel as a buffer to your tabletop, but the mat is the perfect size! Whether you use the EasyPress mat or a towel, you need to press on a flat and sturdy surface. I’m going to use my flat desktop workspace because it’s clean and clear, but I’ve been known to iron on the floor. Let’s try the included practice project! Cricut includes a cotton storage bag, a pre-cut piece of glitter vinyl and a quick start guide to get you going. 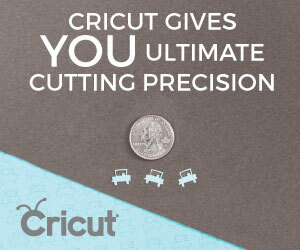 First you need to plug in the Cricut EasyPress 2. Then set the timer and temperature according to the quick start guide (for the practice project it’s 290 degrees and 30 seconds). 3. Once the temperature is set, you’ve got like 60 seconds before it’s warmed up and ready to go! Note: The Cricut EasyPress 2 can reach a high temperature of 400 degrees F and will shut off automatically after ten minutes of inactivity. PRO TIP: Like any other iron-on material, be sure to prep your material before pressing by applying the heating element for five seconds. This will press it flat and remove any moisture. Is it heavy? Nope! I managed to hold it steady and take a picture with my other hand! 4. Using gentle pressure (think: one-handed pressure 5-10 lbs), press the included iron-on vinyl “C” onto the cotton bag. I was nervous that one-handed pressure wouldn’t be enough, but the vinyl completely adhered on the first shot! 5. After pressing the front for 30 seconds, this project calls for a flip-over-and-repeat action on the back side. Repeat on the back and flip right side up again. Flip over and repeat! One-handed pressure for fifteen seconds! 6. Gently remove the plastic liner while the surface is still warm. Peel back the clear film while the surface is still warm. The result should be evenly adhered! If your iron-on vinyl is not evenly adhered, apply pressure again before removing the clear film. That’s the end of the first project, but I can’t leave it there. I HAVE to try my own project and actually cut some vinyl. Let’s try this confetti glitter iron-on vinyl on a heavier jute cotton bag. First I opened the designs and welded the two layers together. Then I prepped to cut! Select both layers and choose weld to get them all mashed together like this! 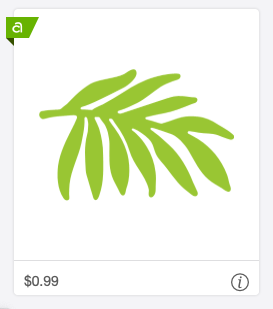 Cricut also has an easy-to-use FAQ section dedicated to layers. Once you've cut your design, weed the excess vinyl with the weeder tool, cut apart, and place on your material to check spacing. This design is larger than the tote bag, so it will need to be pressed in three different sections. The result is a cute bag with tropical palms and monsteras glittering across the bottom. 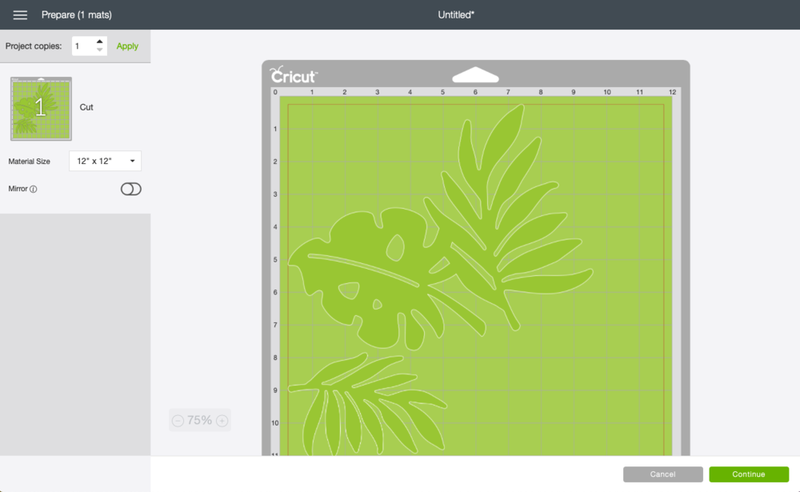 I cannot wait to try out the Cricut EasyPress 2 with a t-shirt design!